Fleet Live visitors can be among the first in the UK to see the all-new BMW 3 series, which will be on display at the two-day event. Priced from £33,610, the new model will be on sale from March 2019 and features new connected services and technology such as an NFC smartphone key. The full engine line up is yet to be confirmed but BMW has published fuel economy data for the 320d, which can achieve up to 67.3mpg. CO2 emissions start from 110g/km for the diesel, giving the the new 3 series an edge over its rivals. There will also be a 330e plug-in hybrid, which is likely to emit less than 50g/km. 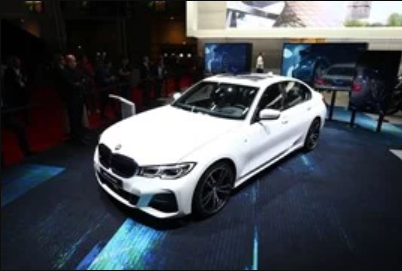 The BMW 3 Series made its public debut at the Paris Motor Show on October 2. Read more about the new BMW 3 Series here. Taking place on October 9-10 at the Birmingham NEC, Fleet Live is a free-to-attend event that will be packed with exhibitors from all areas of the fleet sector, plus there will be 23 speakers leading seminars and debates on the latest issues in the industry. The BMW 3 Series will be on display at Fleet Live alongside the Mini Electric Concept. BMW and Mini product experts will be on stand to talk about these upcoming models, plus the existing BMW and Mini range.